Searching for affordable bachelor’s degree online programs. If you are already working or have a busy life but still want to complete your bachelor’s degree, the online option is the best choice for you as you can access lectures any time of day or night. There are hundreds of bachelors’ programs available and students can choose an area of focus from the following categories: art & design, trade, business, management, education, nursing, liberal arts, humanities, psychology, criminal justice and technology. Before joining any program, it’s important for you to realize what your interests and academic / professional goals are. This way, you can study towards a degree that will be beneficial to you. Fayetteville State University is a public university that offers flexible and affordable online learning programs at the bachelor’s, master’s and doctorate level. It receives its accreditation from the Commission on Colleges of Southern Association of Colleges and Schools with various programmatic accreditations. Degree programs offered at the university are in various fields such as a Bachelor of Science in Criminal Justice, a Bachelor of Business Administration in Business Administration, a Bachelor of Science in Sociology, a Bachelor of Science in Psychology and a Bachelor of Science in Fire Science: Fire Investigations and Fire Management and a Bachelor of Science in Nursing(RN-BSN). Students have 24/7 live tech support in addition to other student support services. Tuition costs $187.33 per credit hour for in-state students and $448.95 per credit hour for out of state students with the availability of financial aid. 2. North Carolina Central University. North Carolina Central University offers online programs that are fully accredited at the certificate, bachelor and master’s level. It receives its accreditation from the Commission on Colleges of Southern Association of Colleges and Schools. This regionally accredited university offers degree programs in fields such as a Bachelor of Science in Early Childhood Education, a Bachelor of Science in Middle grades Education, a Bachelor of Science in Criminal Justice, a Bachelor of Science in Elementary Education, a Bachelor of Science in Nursing(RN-BSN), a Bachelor of Science in Hospitality and Tourism Administration and Recreational Management among many others. However, face to face courses may be required for some of the above programs. Tuition costs depend on status of residence. In-state students can expect to pay $99.73 per credit hour while out-of-state students can expect to pay $456.93 per credit hour. Financial aid is available from both federal and institutional sources. 3. North Carolina A&T State University. With its accreditation from the Commission on Colleges of Southern Association of Colleges and Schools, the North Carolina A&T State University offers various online programs. The University has been offering online programs for over ten years. Degree programs available at this university are offered at the Bachelor’s, Master’s and Doctorate level and are in fields such as Agricultural Education, Electronics Technology, Business Education, Occupational Safety and Health, Survey Engineering and Geomatics. The above-mentioned programs are flexible and are delivered by a committed and qualified faculty. In addition, online students have access to 24/7 live tech support and other student support services. Tuition costs $104 per credit hour for in-state students and $462 per credit hour for out of state students. Financial aid is available from the institution and other federal sources. 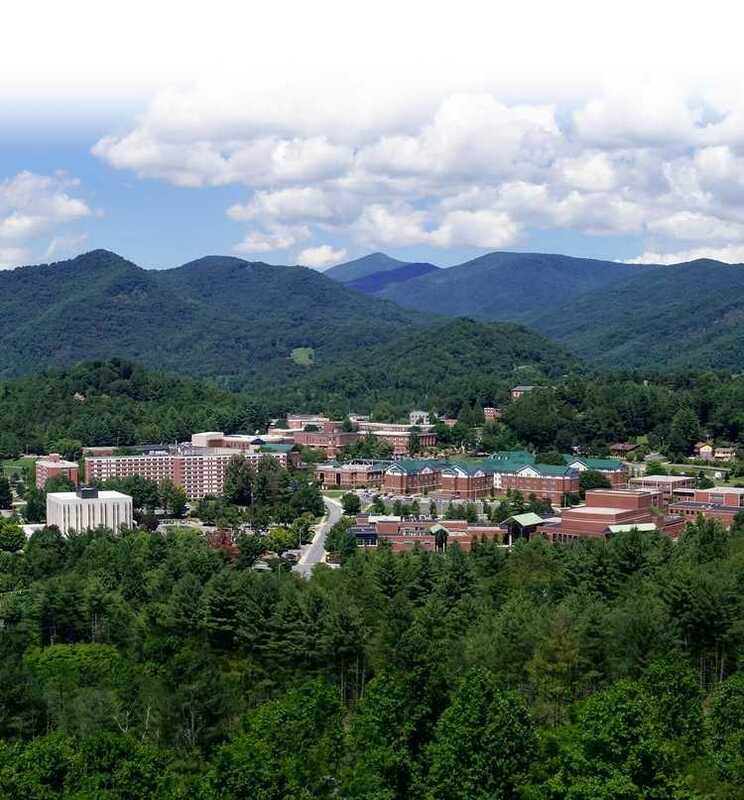 Western Carolina University is regionally accredited by the Commission on Colleges of Southern Association of Colleges and Schools. The various online programs available at the university are at the certificate, Bachelor’s, Master’s and Doctor’s level. Some of the online degrees offered include Business Administration, a Bachelor of Science in Criminal Justice, a Bachelor of Science in Entrepreneurship, a Bachelor of Science in Emergency Medical Care, Emergency and Disaster Management, a Bachelor of Science in Engineering Technology and a Bachelor of Science in Nursing(RN-BSN) among many others. Some face to face courses may be required. Tuition costs $133.78 per credit hour for in-state students and $458.01 per credit hour for out of state students. Financial aid is available to the online students. 5. 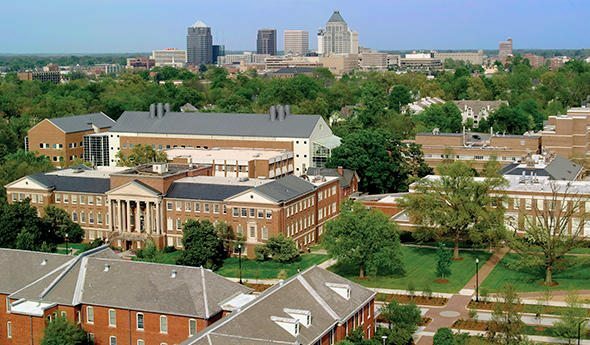 University of North Carolina – Greensboro. 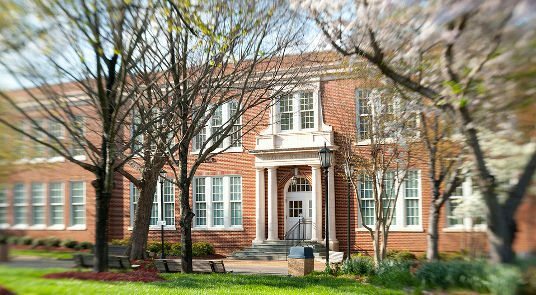 Ranked among the top Best Online Graduate Education Programs by the U.S News and World Report, the University of North Carolina – Greensboro, offers various online programs. Its programs are offered at the certificate, bachelor’s and master’s level. This online university is regionally accredited by the Commission on Colleges of Southern Association of Colleges and Schools. Some of the programs it offers include : Liberal Studies, Business Administration, Human Development and Family Studies, Public Health Certificate, Conflict and Peace Studies Certificate, African American Studies Certificate, Global Studies Certificate, Global Apparel Supply Chain Management Certificate, Information Assurance, Health Information Technology Management Certificate, Information Technology Certificate, Security and Privacy Certificate, Non-Profit Management Certificate and Supply Chain, Logistics and Transportation Management. Tuition costs $139.90 and $267.57 per credit hour for in-state and out of state students respectively. Financial aid is also available to help students meet the cost of their online education. 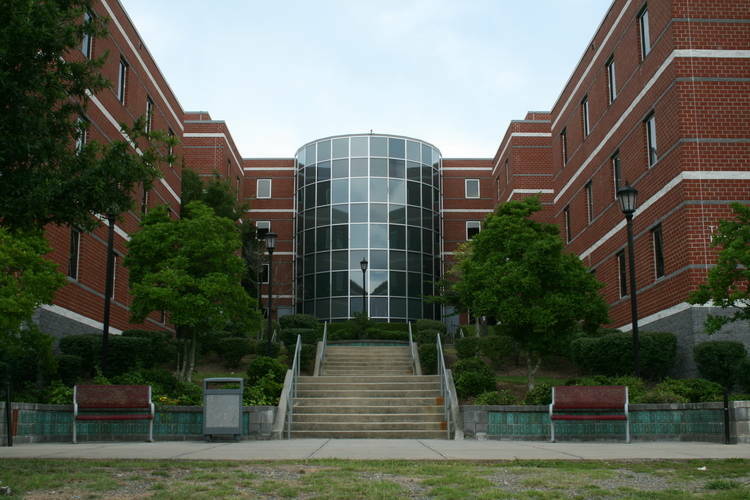 The Winston-Salem State University is a public university with leading online programs. With its regional accreditation from the Commission on Colleges of Southern Association of Colleges and Schools, it offers programs at the certificate, bachelor’s and master’s level. Online degrees at this university are available in fields such as: a Bachelor of Science in Birth to Kindergarten Education, a Bachelor of Science in Clinical Laboratory Science, a Bachelor of Science in Nursing(RN – BSN), Non-Profit Leadership and Teaching English as a Second Language (TESL) among many others. Students have access to Various student support services. Tuition costs depend on status of residence. For in-state students, the figure is $145.96 while this rises to $455.08 for out of state students. Financial aid is available to assist students in meeting the costs of their online education. 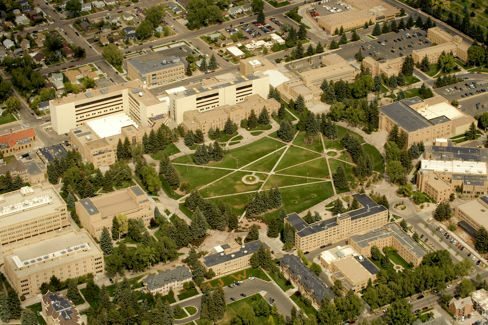 The University of Wyoming offers various online programs at the certificate, bachelor’s and master’s level. It receives regional accreditation from the North Central Association of Colleges and Schools with special programmatic accreditation for some of its programs. Some of the degree programs that are available online include: a Bachelor of Science in Business Administration, a Bachelor of Science in Nursing (RN – BSN), a Bachelor of Science in Family and Consumer Sciences and a Bachelor of Science in Early Childhood Programs Director among many more. Tuition costs $146 for both in-state and out of state students. The East Carolina University is regionally accredited by the Commission on Colleges of Southern Association of Colleges and Schools. It offers various online programs at the certificate, bachelor’s and master’s level. Online programs offered include: a Bachelor of Science in Business Administration: Finance, Marketing, General Business Management, Operations and Supply Chain Management, Management Information Systems, a Bachelor of Science in Education: Birth-Kindergarten Education, Elementary Education, Business Education, Middle Grades Education, Special Education, a Bachelor of Science in Communications, a Bachelor of Science in Health Services Management, a Bachelor of Science in Hospitality Management, a Bachelor of Science in Industrial Distribution and Logistics, a Bachelor of Science in Industrial Technology: Bioprocess Manufacturing, Industrial Supervision, Industrial Distribution and Logistics, Manufacturing Systems, Information and Computer Technology and a Bachelor of Science in Nursing (RN-BSN). Tuition costs $142 per credit hour for in-state students and $609 per credit hour for out of state students. The Louisiana State University offers online programs and is accredited by the Commission on Colleges of Southern Association of Colleges and Schools with special programmatic accreditation for many of its programs. It is ranked as a Tier One National University by the U.S News and World Report. It offers fully online, convenient programs with several start dates. It offers programs in fields such as Accounting, Liberal Studies, Business Communications and Human Services. Students have access to technical support and other student support services. Tuition costs $148.37 for both in-state and out of state students. 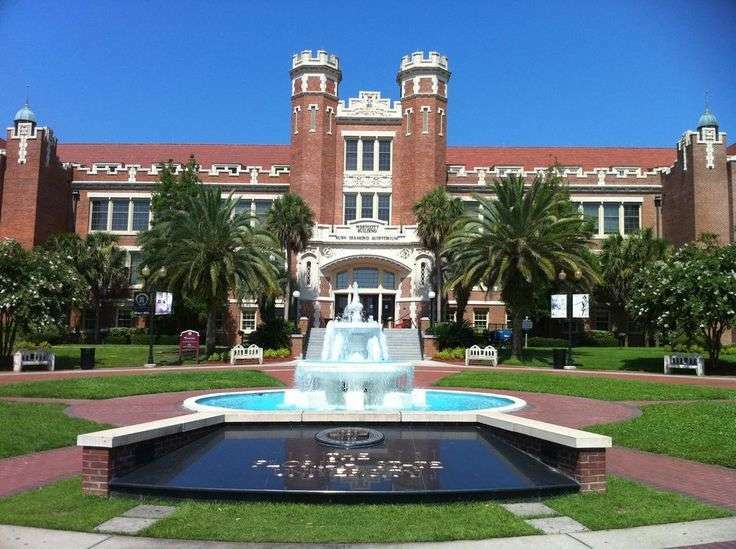 The University of Florida delivers online programs at the certificate, bachelor’s, master’s and doctorate level. It is accredited by the Commission on Colleges of Southern Association of Colleges and Schools. The university of Florida offers online degrees that include: a Bachelor of Science in Applied Psychology, a Bachelor of Science in Physiology, a Bachelor of Arts in Criminology and Law, a Bachelor of Science in Business Administration, a Bachelor of Arts in Digital Arts and Sciences, a Bachelor of Science in Health Education and Behavior, a Bachelor of Science in Fire and Emergency Services, a Bachelor of Science in Health Education and Behavior, a Bachelor of Science in Interdisciplinary Studies: Agriculture and Natural Resources, Environmental Management, a Bachelor of Science in Sports Management and a Bachelor of Science in Microbiology and Cell Science. Tuition costs $148.65 regardless of residency status. 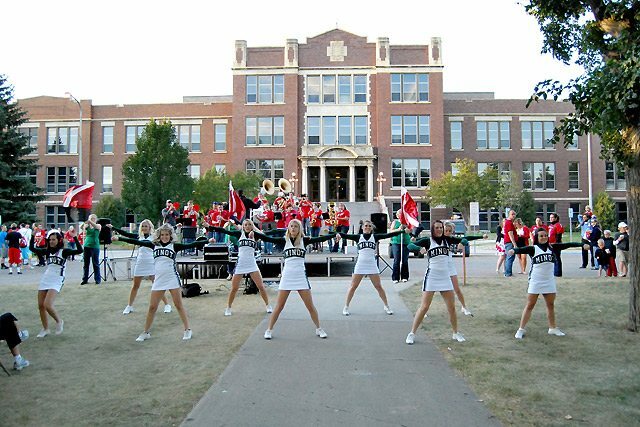 Minot State University is accredited by the Higher Learning Commission of the North Central Association of Colleges and Schools. This university offers several online programs that include nearly ten undergraduate degrees, three undergraduate certificates, seven graduate degrees and one graduate certificate. It offers degrees in areas such as Management, Marketing, Management Information Systems, Nursing, International Business, Applied Management, and Applied Business Information Technology. Tuition costs $264.91 per credit for undergraduate students, and $332.98 per credit for graduate students. 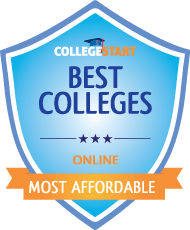 According to BestColleges.com, the exceptional tuition rate for out-of-state students at the university makes it the third most affordable university in the U.S. In addition to that, several financial aid options are available. These include Grants, Scholarships, Loans such as the Federal Direct Loans, Federal Nursing Loans and the Federal Perkins Loans, and Student Employment. Special resources are available to cater for the needs of groups such as veterans and native Americans.